These creamy dips and desserts will surely be a hit during your much awaited celebrations! 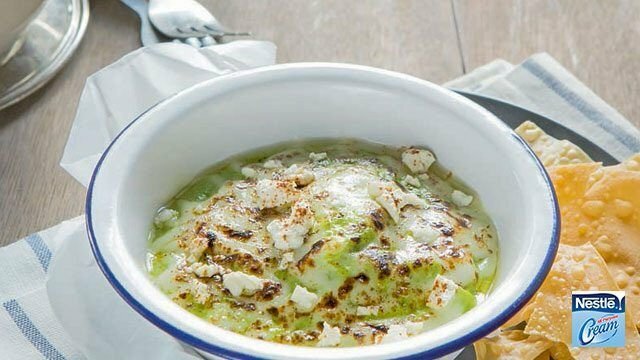 With all the annual get-togethers and reunions this season, it's the best time to impress your family and friends with delightful dishes. You never have to limit yourself to the usual lineup, because new additions will surely be welcomed (and expected) at your table. 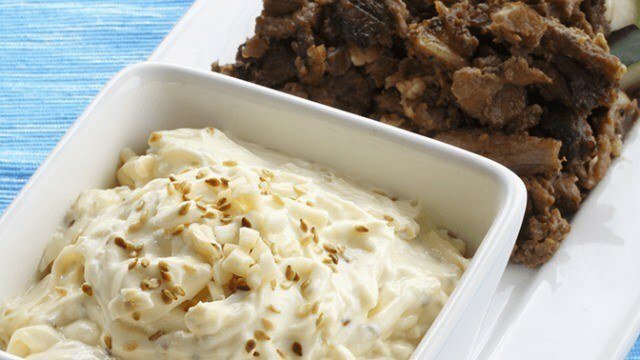 This Christmas, create these creamy dips and desserts that can surprise your guests. 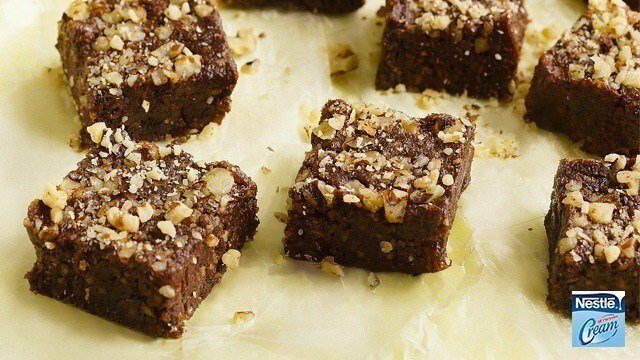 Not only are these satisfying to make, these can also leave your family and friends wanting more! Everyone has family members who can munch on chips and crackers all day long. This season, give in to their desires! 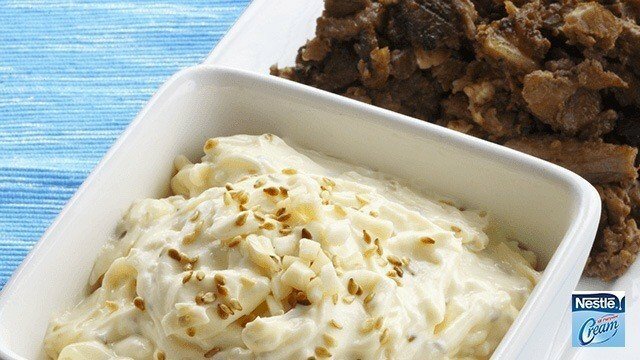 Surprise them by pairing your usual snack with this dip to keep them happy for the rest of the night. 1 Melt butter in a pan over medium heat. Add peas, salt, and pepper. Saute for 2 minutes. 2 Puree sautéed peas, parmesan cheese, lemon juice, and NESTLÉ All Purpose Cream in a blender until desired consistency is achieved. 3 Transfer mixture to a shallow oven-safe bowl and top with mozzarella cheese. Bake for about two minutes in a toaster oven or until cheese is melted. Set aside. PRO TIP: Pair it with wonton wrappers topped with feta cheese to keep things extra! Serving the same fried dishes during Christmas can be a bit of a drag, but you do not have to worry. You can always keep things extraordinary with the right dip. 1 Combine ingredients in a bowl. Mix well. PRO TIP: Pair it with beef shreds for the best results! Everybody loves a delicious chocolate dessert, that's why you can't go wrong with this recipe. It's time to step things up by creating this chocolate bar. Its creamy and fudgy consistency can make your guests savor every bite. 1 Preheat oven to 350F. Grease and line a 13 x 9-inch baking pan. 2 Using a double boiler, melt ¼ cup butter with chocolate. Stir well and set aside to cool. 3 In a large bowl, combine sugar with remaining butter, cooled and melted chocolate mixture, eggs, egg white, vanilla extract, and salt. Beat until light and fluffy. Add in flour and NESTLÉ All Purpose Cream until well blended. Fold in nuts. Pour into prepared baking pan. 4 Bake for 20-25 minutes, or until the toothpick inserted in the center comes out clean. Cool completely before spreading icing over the cake. 5 Make the creamy chocolate icing: Combine cocoa and butter in a medium-sized bowl and stir well. Fold in confectioner's' sugar and NESTLÉ Cream. Stir well until smooth, adding more cream or confectioner's sugar to achieve desired consistency. PRO TIP: Spend time with the kids when making this dessert. Ask them to spread the creamy chocolate icing on the bars. Love mangoes? 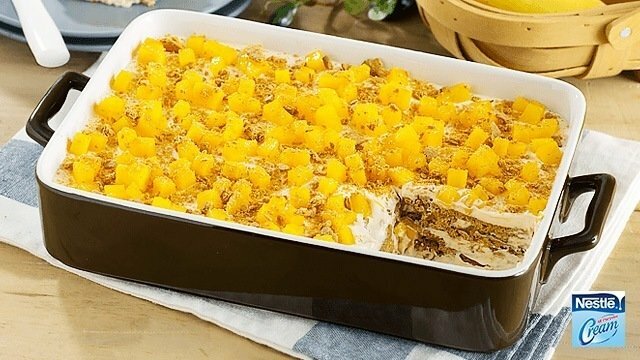 This no-bake refrigerator cake is quick and easy to do. Make it rich and creamy with NESTLÉ All Purpose Cream! 1 Combine NESTLÉ All Purpose Cream and condensed milk. Put 2 tbspof the mixture on the glass dish. 2 Arrange 12 pieces of Graham Crackers in the glass dish. Then top with the cream mixture. Cover first layer with mango. 3 Repeat procedure to form 2 layers. Keep in the refrigerator for 4 hours or until the graham is moist with cream. 4 Slice into serving portions before servings. 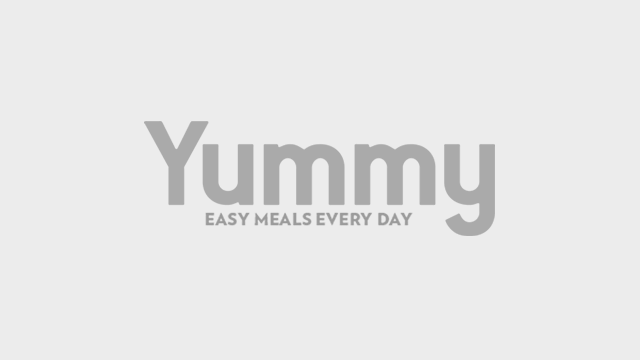 Looking for more recipes? Click here. This article was created by Summit StoryLabs in partnership with NESTLÉ All Purpose Cream.